Our Choirs add to our 10:15 am Sunday Worship September through May. The Chancel Choir typically sings on the 2nd and 4th Sunday of each month, as well as other special occasions. The Chancel Choir holds practice in our choir room on the Wednesday evening prior to the Sundays they sing. Our Men's Choir sings on the 1st Sunday of each month. The Men's Choir practices on the morning of the 1st Sunday in our choir room. The Handbell Choir practices on Wednesday evenings from September until May. 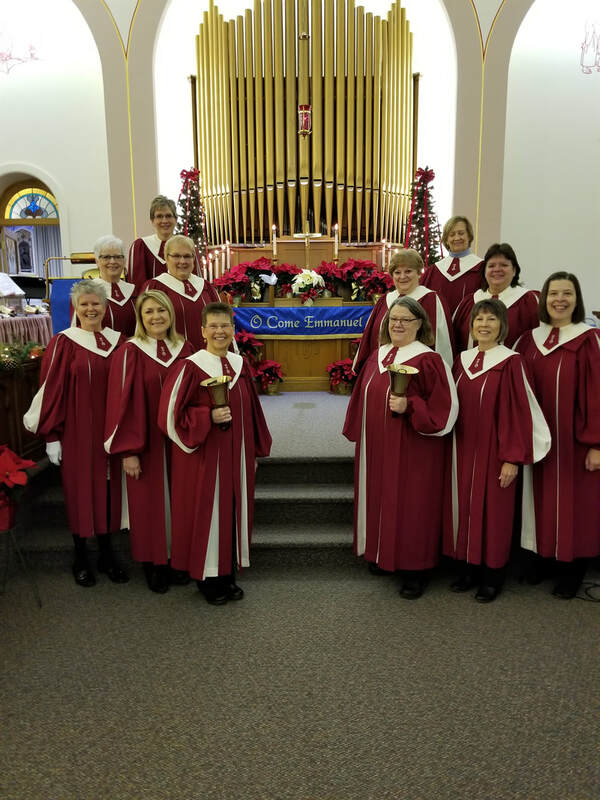 The Handbell Choir provides special music for Lent, Palm Sunday, Easter, Advent, and Christmas Eve, along with other Sundays.